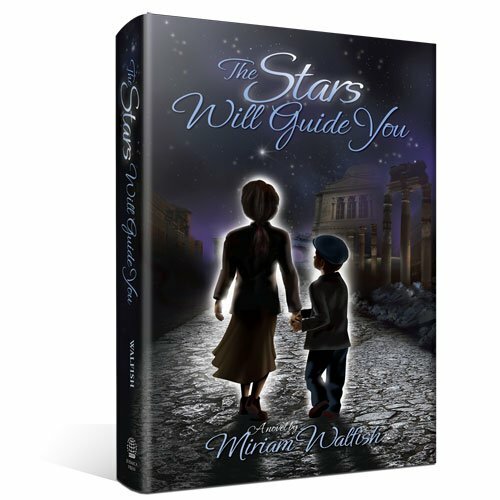 Expert Review of The Stars Will Guide You by Miriam Walfish, one of our picks of the top Jewish books for kids! Who says learning history has to be boring? There are now some great books of historical Jewish fiction. This novel set against the backdrop of the little-known story of Rome’s Jews during World War II and the Holocaust will surprise and uplift you. It is a story of despair and hope, a saga of transformation and, ultimately, rebirth. High on a rooftop in the Jewish ghetto, under the light of a star-filled sky, a father speaks to his son and daughter. He speaks to them of Jewish destiny, of God’s promise to Abraham to make his children like the stars of the heavens. He gives them brief instructions, and then ... he vanishes. Goldy says: "Very inspiring, very good book."